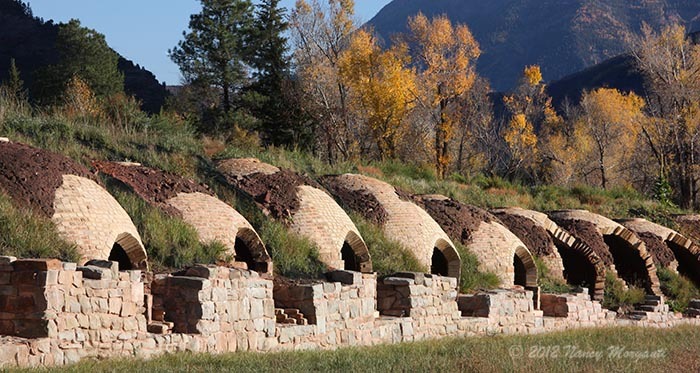 Heading south on Highway 133 from Carbondale our first stop was to see the historic coke ovens in Redstone, which lies a few miles north of 8755' McClure Pass. 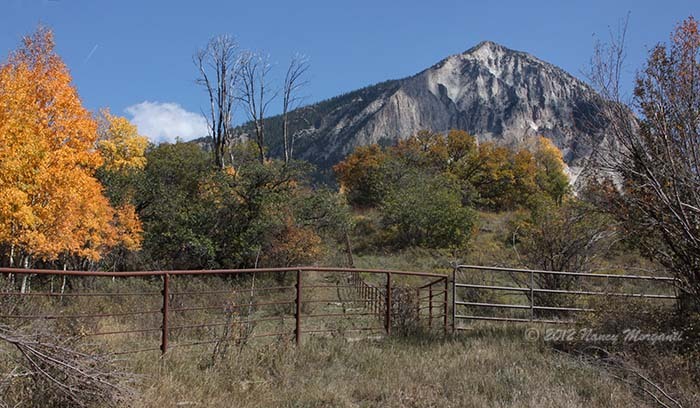 A series of photo ops along the way begins with a side road that leads to the settlement of Marble and ends with views of Chair Mountain and Ragged Peak on the south side of the Pass. 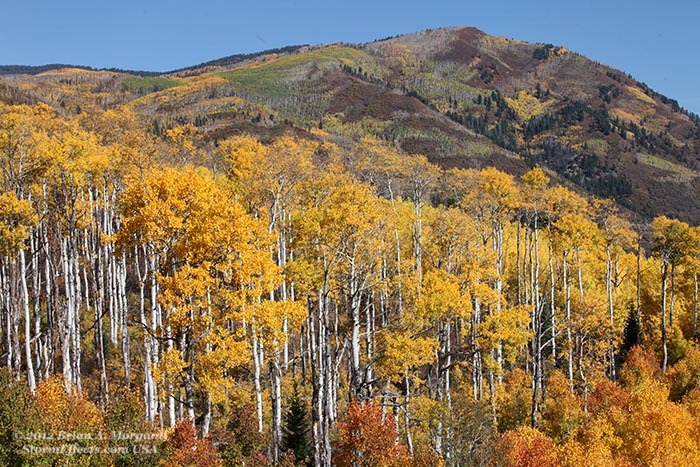 One of the largest Aspen forests in the world can be enjoyed on a 30 mile stretch of road from near Paonia Reservoir in the north thru Kebler Pass to the south. 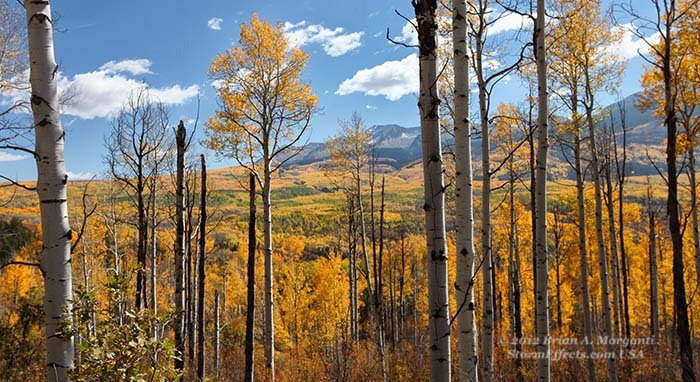 Along the way several impressive panoramas come into view including the Beckwith Mountains of the West Elks and very impressive views of Marcellina Mountain which lies on the border of the Raggeds Wilderness area. 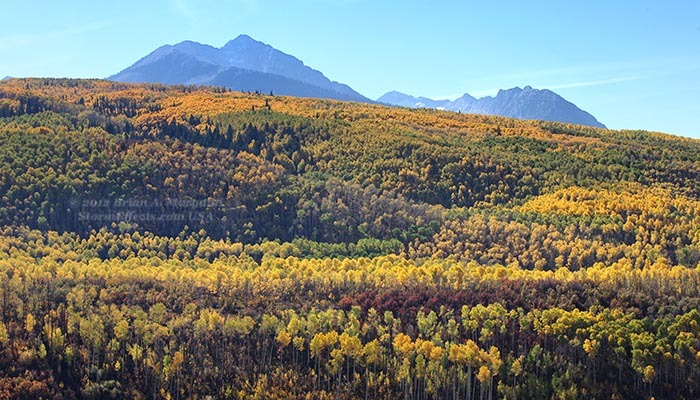 Mt Owen, Ruby Peak, & The Dyke above the Cliff Creek Trailhead offer the final and arguably the most impressive vistas before leaving the Kebler Pass Aspen forests. 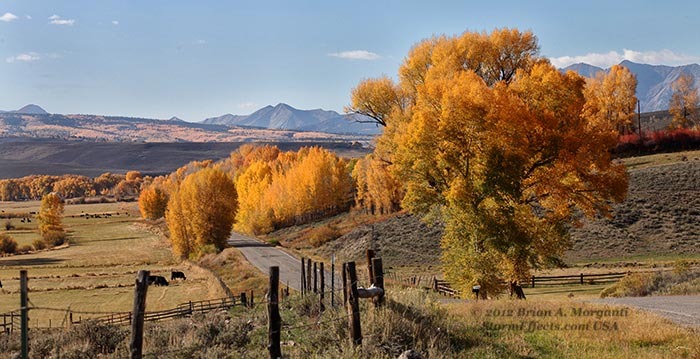 Just below the 10,007' Kebler Pass summit to the east is the turnoff for the Ohio Pass road, which eventually leads 25 miles south to the town of Gunnison. 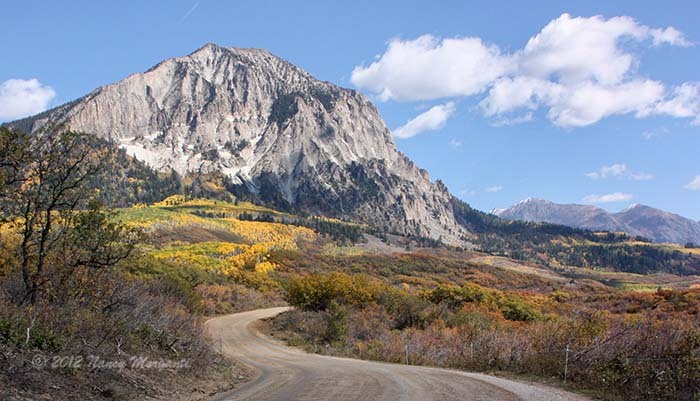 The 10,101' Ohio Pass is reached just one mile south along this road, with excellent views of the "Castles" a short distance farther down the road. 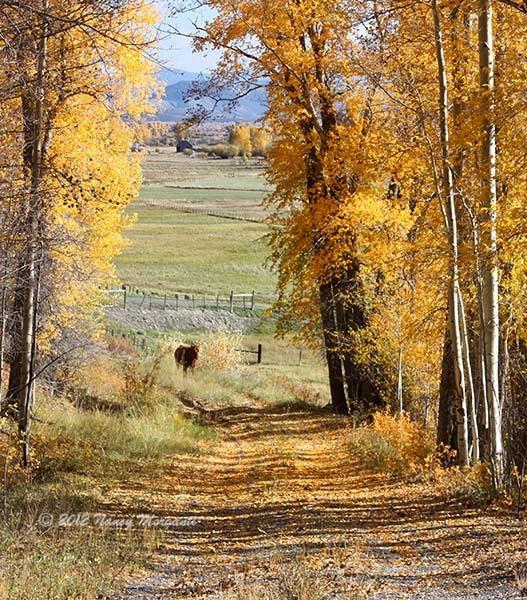 The upper stretches of Ohio Pass Road offer numerous Aspen forest vistas before transitioning into flatter ranch land views to the north of Gunnison. 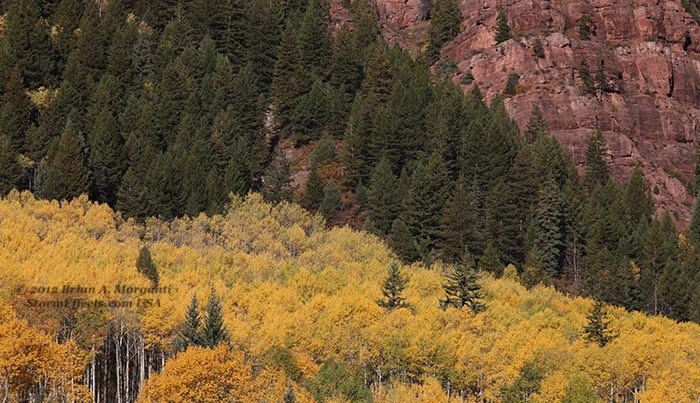 Redstone Cliffs and Aspens near Redstone, CO.
Redstone Coke Ovens, Redstone, CO. 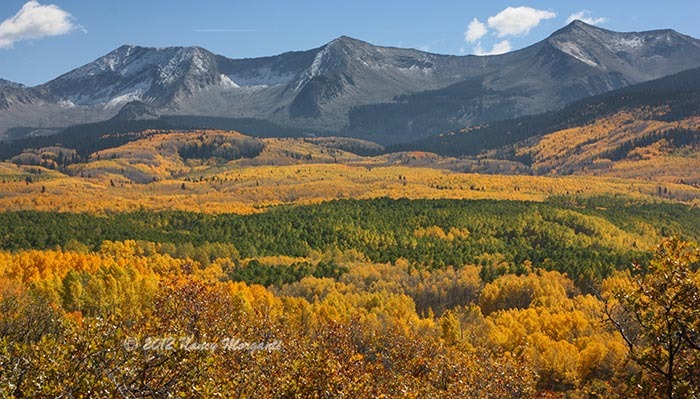 Crystal River looking south at Chair Mountain from Redstone, CO.
Pastoral Scene near Marble, CO.
Patchwork of Colors near Marble, CO.
Golden Aspens against an Artist's Palette of Colors. 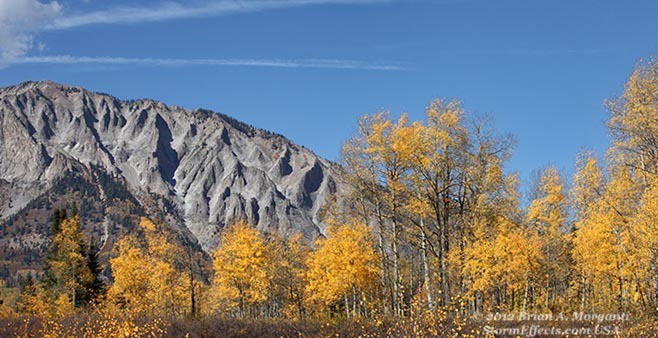 Chair Mountain & Ragged Peak south of McClure Pass. 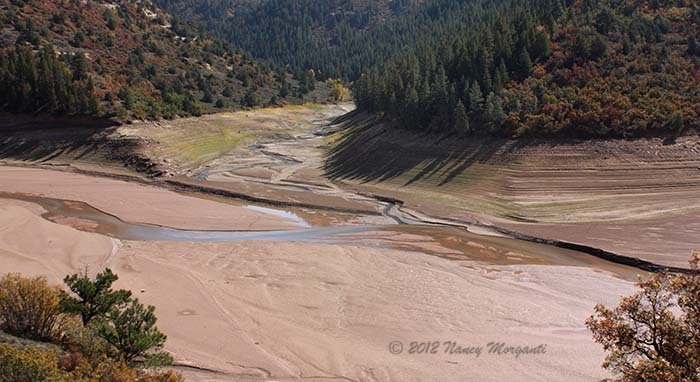 Paonia Reservoir Water Line View. 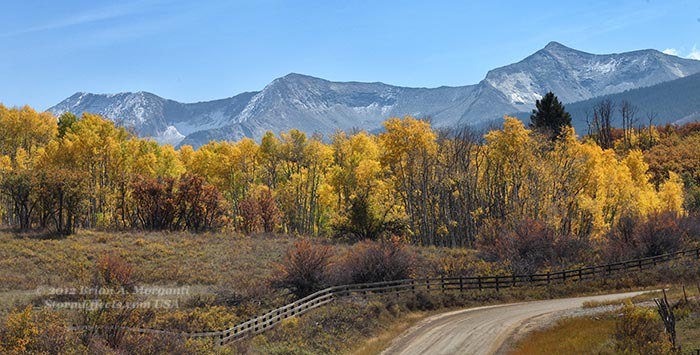 Beckwith Mountains from Kebler Pass Road. 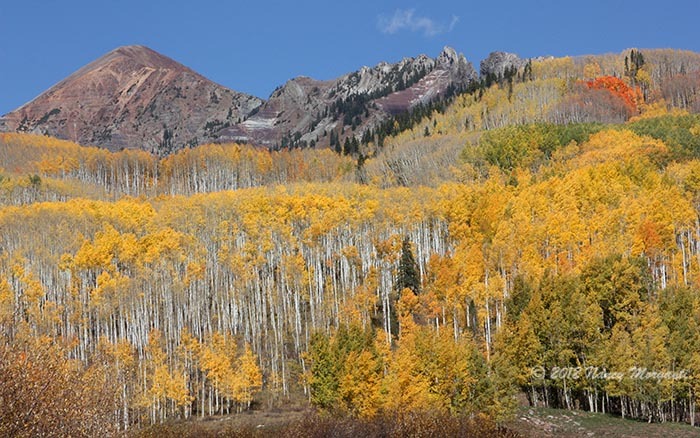 Marcellina Mountain from Kebler Pass Road. 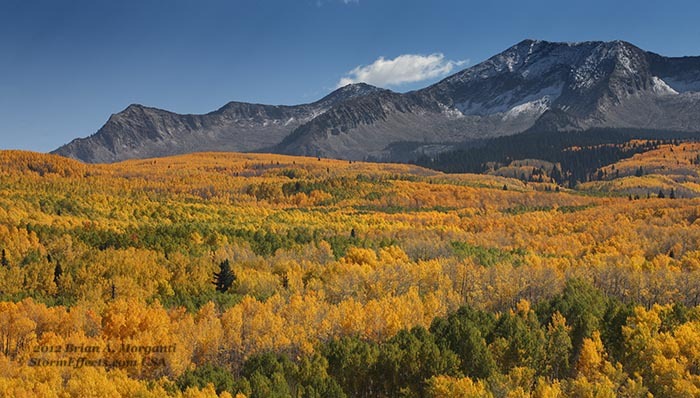 West Elk Range and East Beckwith Mountain from Kebler Pass Road. 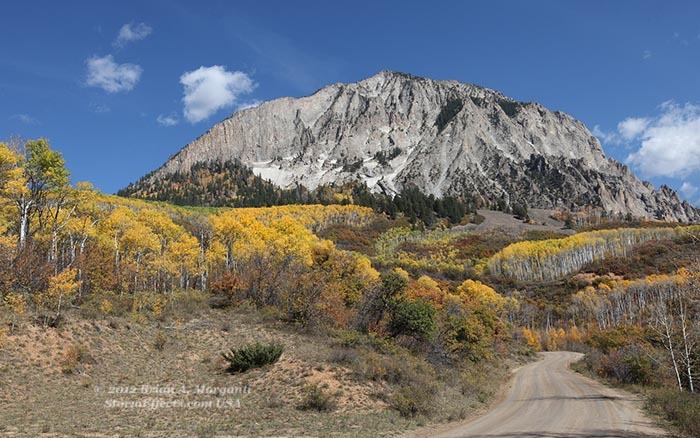 Marcellina Mountain and Kebler Pass Road. 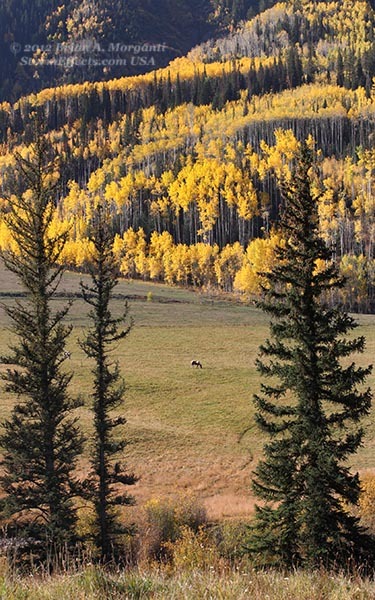 West Elk Range viewed through the Aspens. 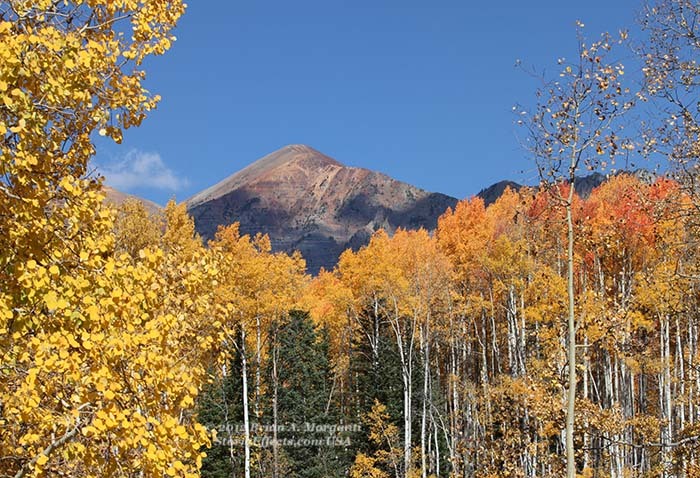 Marcellina Mountain and Aspen View. 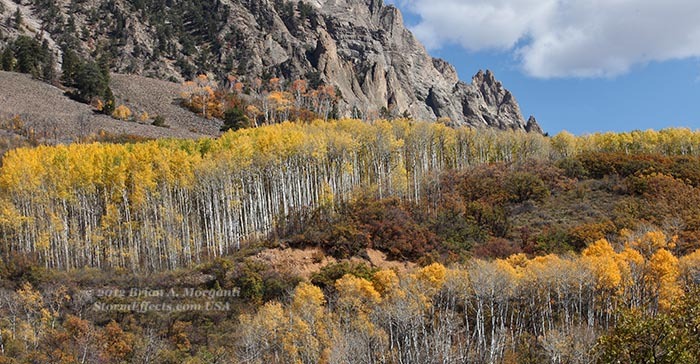 Aspens at the base of Marcellina Mountain. 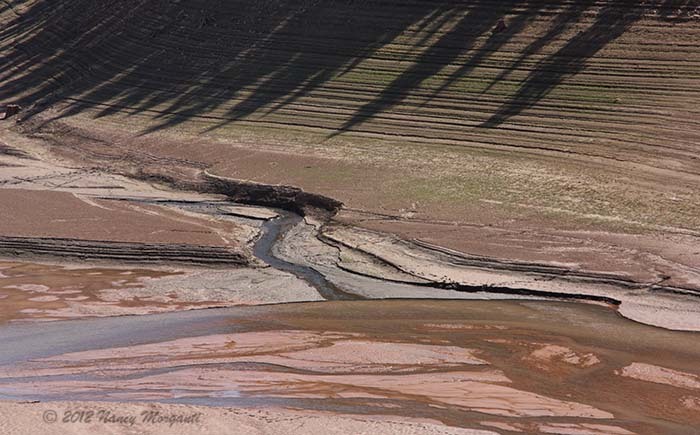 Marcellina Mountain Viewed from the South. 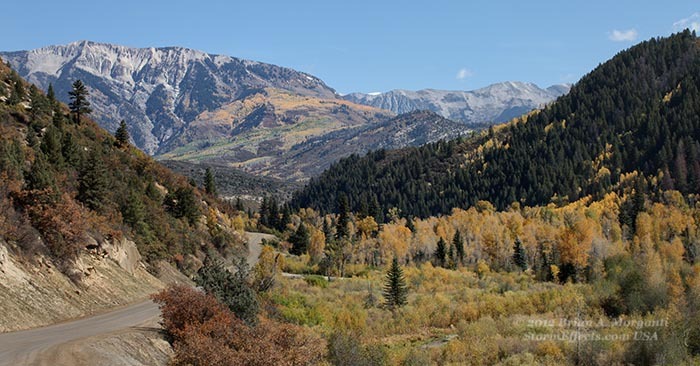 Dyke View from Cliff Creek Trailhead - Kebler Pass. 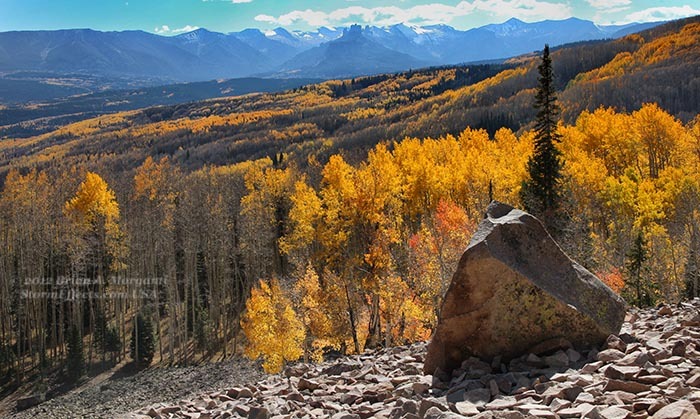 Autumn Palette below the Dyke from Cliff Creek Trailhead. 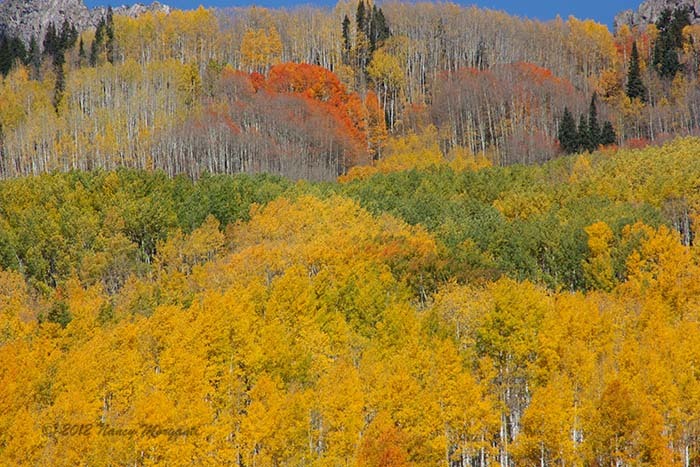 Purple Mountains Majesty #1 - Gunnison National Forest. 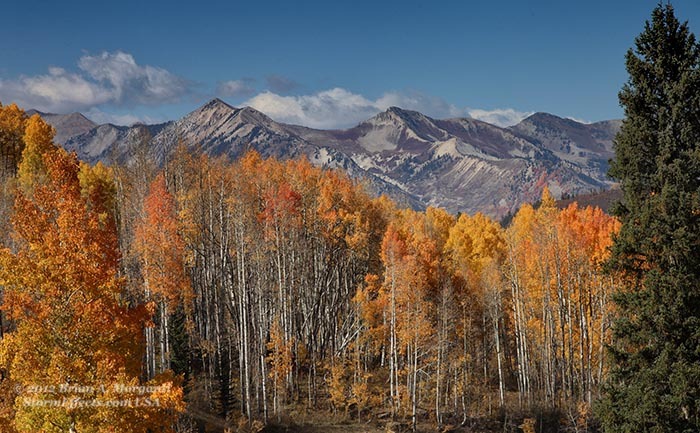 Ruby Peak & Dyke from Cliff Creek Trailhead - Kebler Pass. 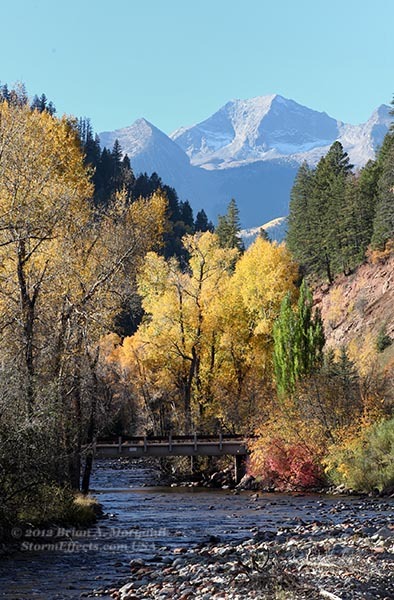 Purple Mountains Majesty #2 - Gunnison National Forest. 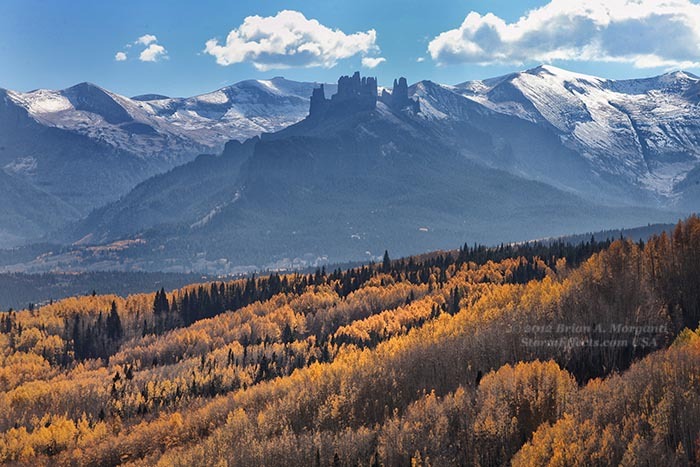 View of the "Castles" and West Elk Mountains from Ohio Pass. 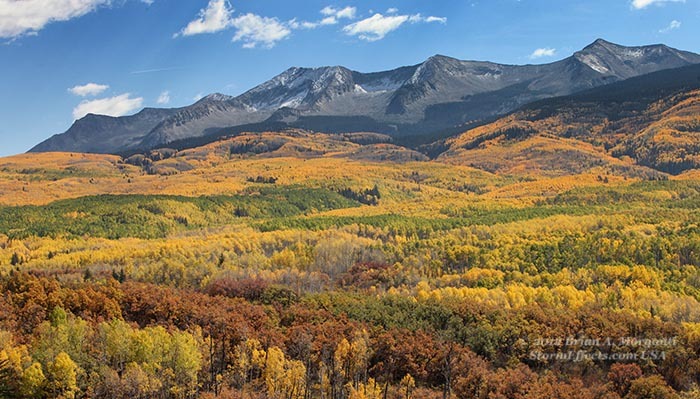 Wide View of the "Castles" and West Elk Mountains from Ohio Pass. 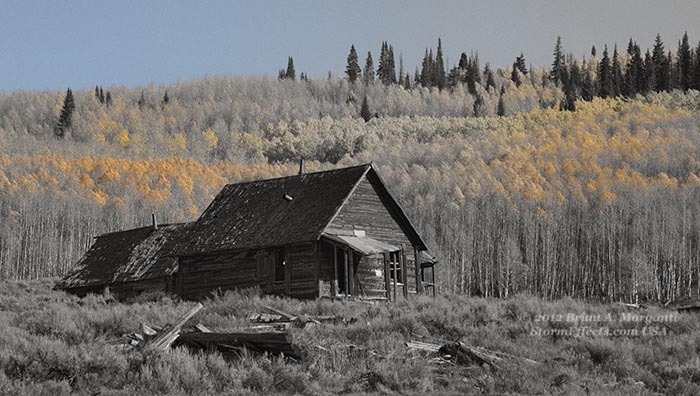 Old Miner's Camp - north of Gunnison, CO. 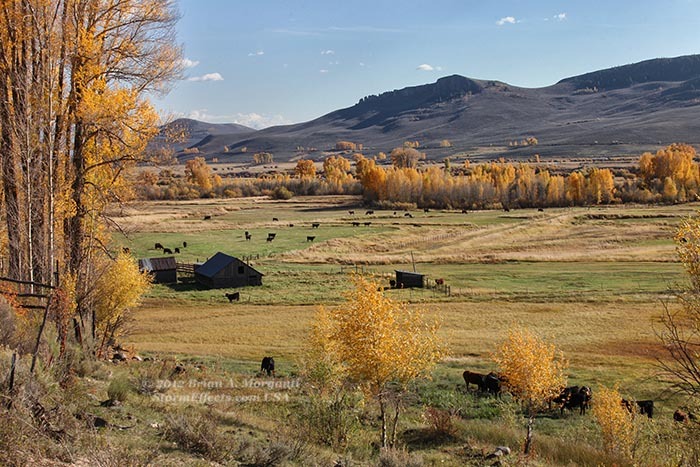 Horse Pasture - Gunnison, CO.
Ranch Lands south of Ohio Pass - Gunnison, CO.
Open Range Land and Fall Colors north of Gunnison, CO.